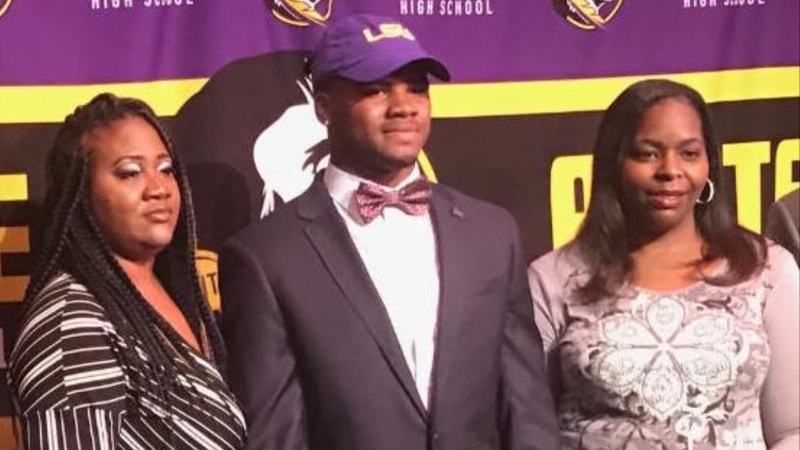 Ed Orgeron and the LSU coaching staff signed one of the two Amite stars they offered scholarships to on Wednesday as athlete Devonta Lee‍ signed with the Tigers. Lee announced his decision live on ESPN2 and in front of family, friends and classmates at school. The 6-foot-2, 218-pound athlete could play on both sides of the ball for the Tigers. He could play wide receiver, safety and if he continues to get bigger could even play outside linebacker. “I feel like I’m going to do big things at wide receiver,” Lee said. Lee committed to LSU over offers from Kentucky, Georgia, Texas A&M and Texas.